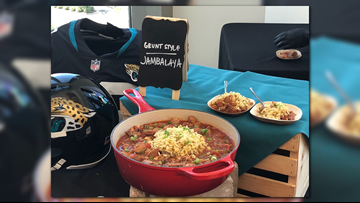 As part of the presentation, they decorate the dish with hushpuppies to represent the gator's eggs, scallions to represent Florida grass, catfish that the gator "caught," and tomatoes for its eyes. Photo: FCN. 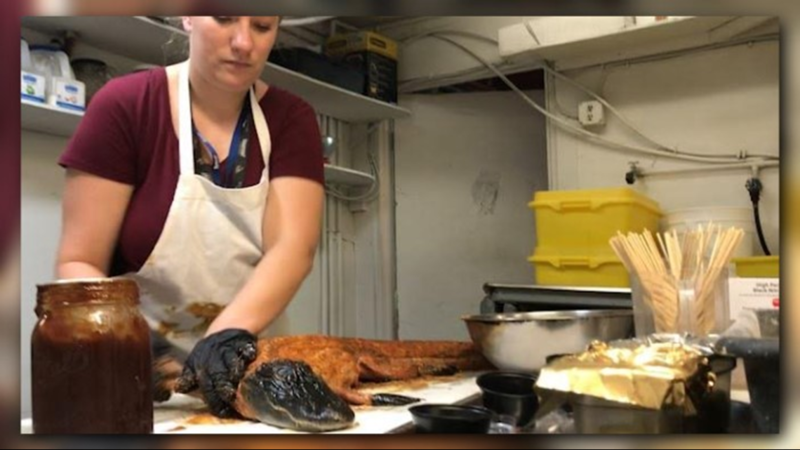 After thawing, they give the gator a full whiskey bath and then rub homemade bbq and mustard sauces. Photo: FCN. 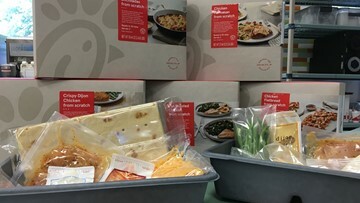 Peoples said they use anywhere from six to seven blends of seasonings. 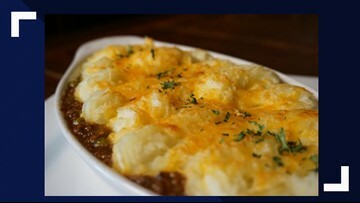 All of the seasonings are from in-house and blended in-house. Photo: FCN. 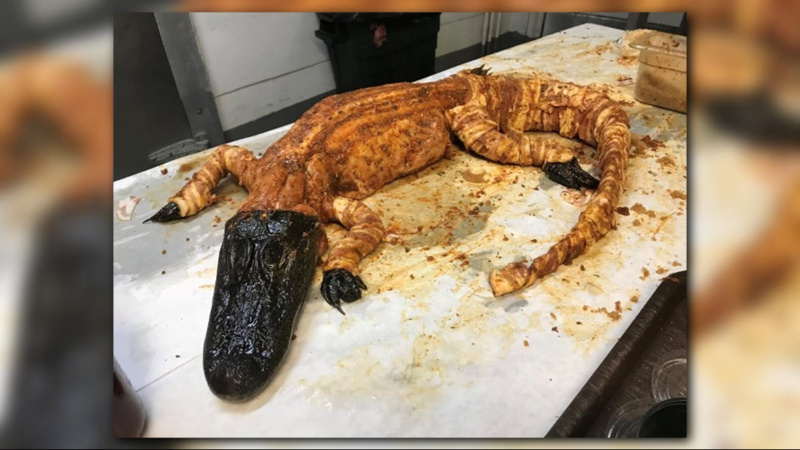 After covering the gator in homemade bbq sauces and mustard sauces, Peoples will rub homemade seasonings on the whole gator. Photo: FCN. 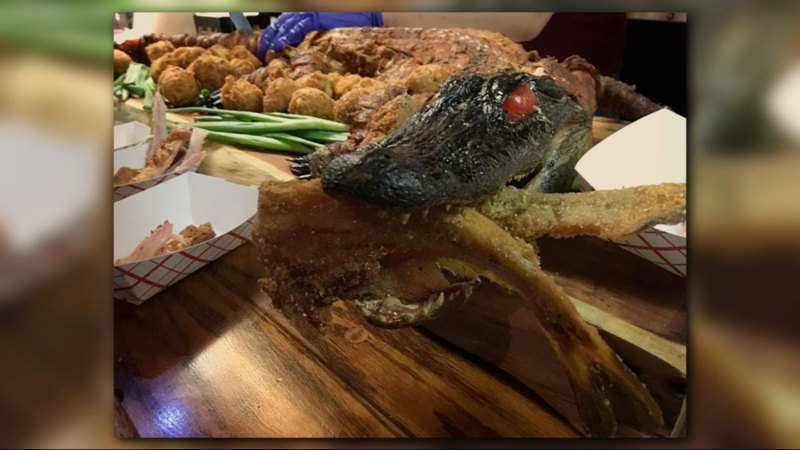 After the gator is seasoned, they put on the bacon. A single alligator can use up to two pounds of bacon, which they wrap on the tail and the legs. 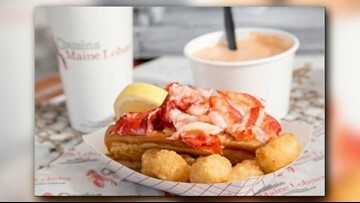 They could use up to four pounds if they wrap it around the whole body. Photo: FCN. 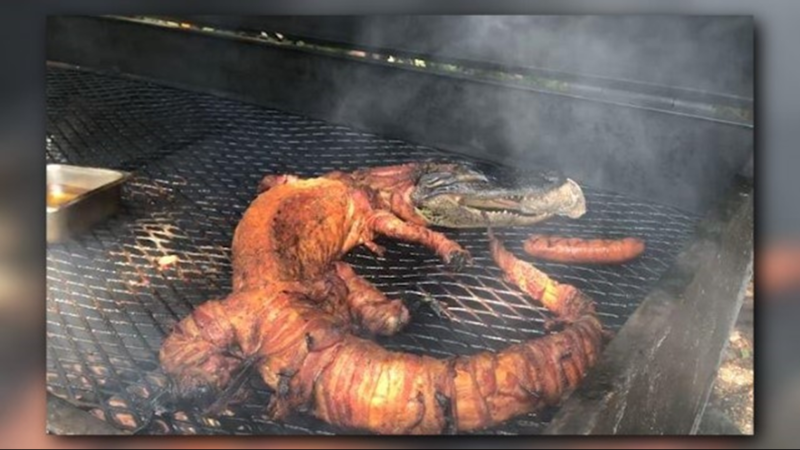 In addition to the tail, they wrap the gator's legs in bacon. Peoples said the bacon helps lock in the moisture that could get dried out by the smoker. Photo: FCN. 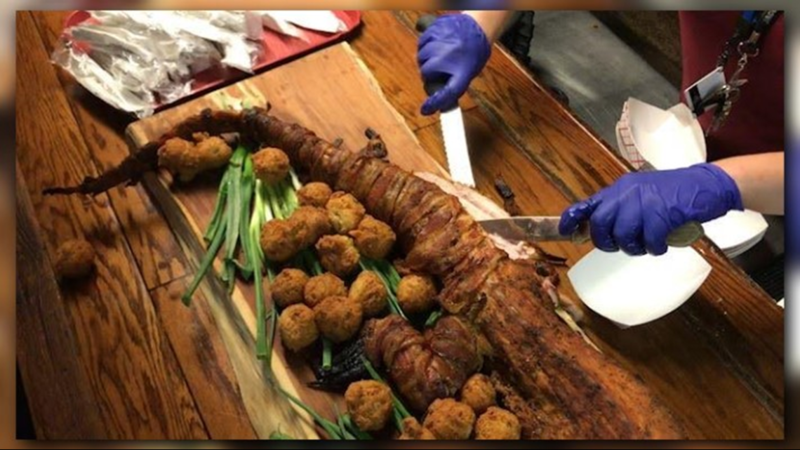 After the gator is wrapped in bacon, they cover it in seasoning one more time. 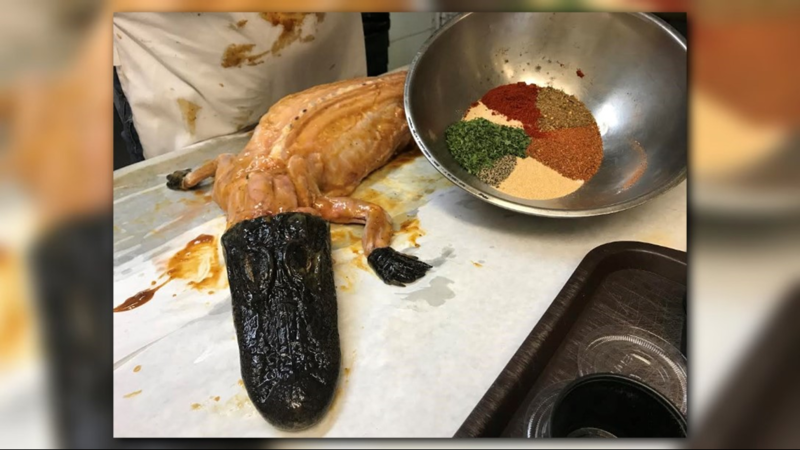 They'll also cover the tail in a brown sugar, which makes it like a "smoked Cajun candy bacon wrapped around the gator," Peoples said. 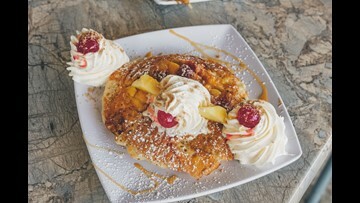 Photo: FCN. 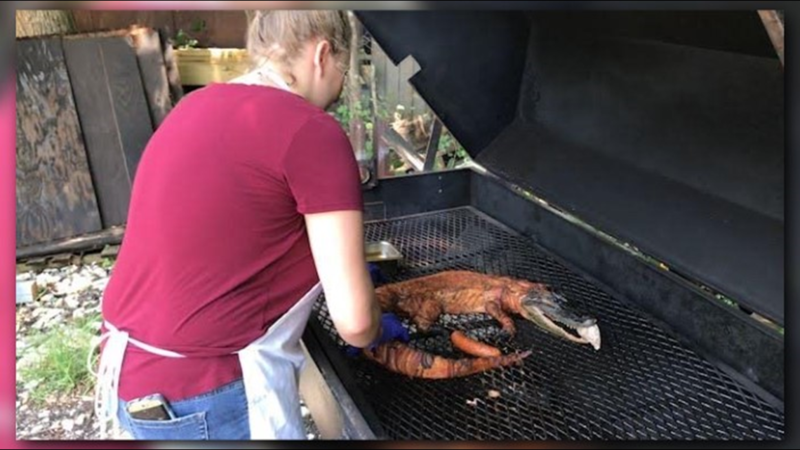 After they prep the gator, they put it on the smoker for about four to six hours. Photo: FCN. 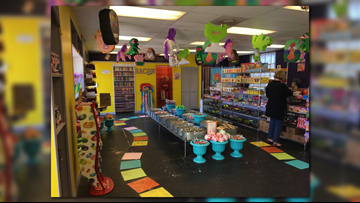 The smoker, which are located outside, is usually set to 250 degrees. 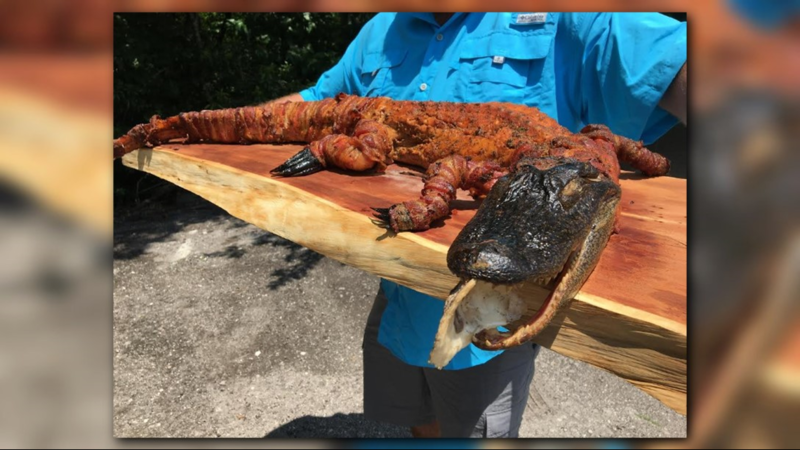 Depending on the gator's size, it'll cook on the smoker for four to six hours. Photo: FCN. 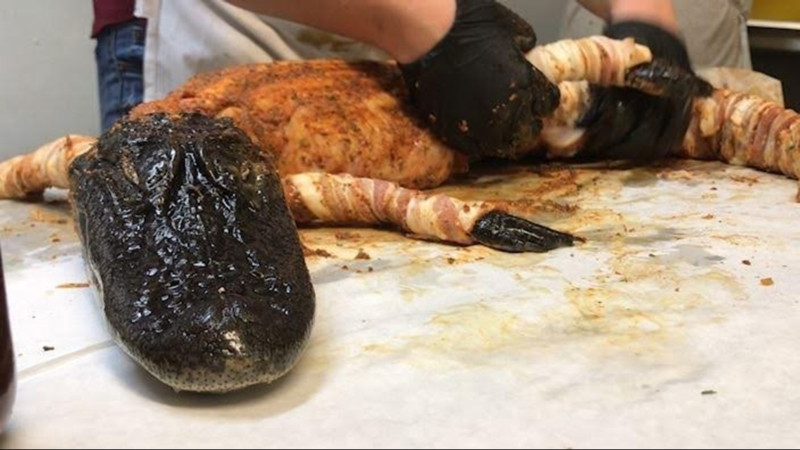 After four to six hours, the gator is fully smoked and ready for presentation! Photo: FCN. The tail tends to be the most popular part of the alligator. 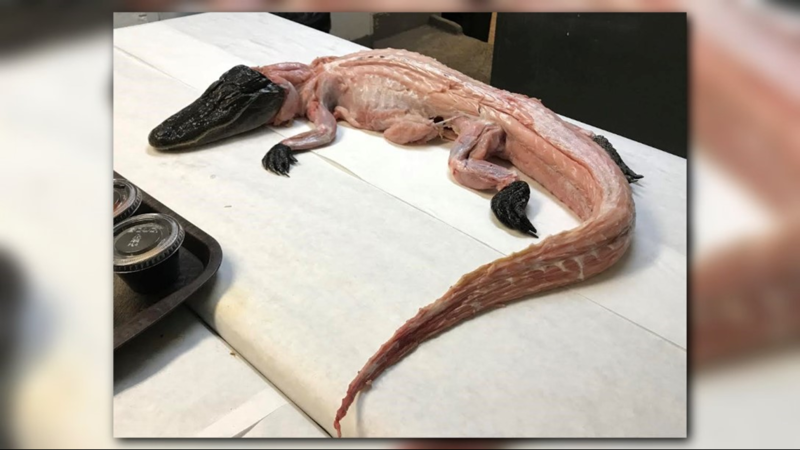 Peoples said gators tend to store a lot of fat in their tails, so you get a lot of meat. 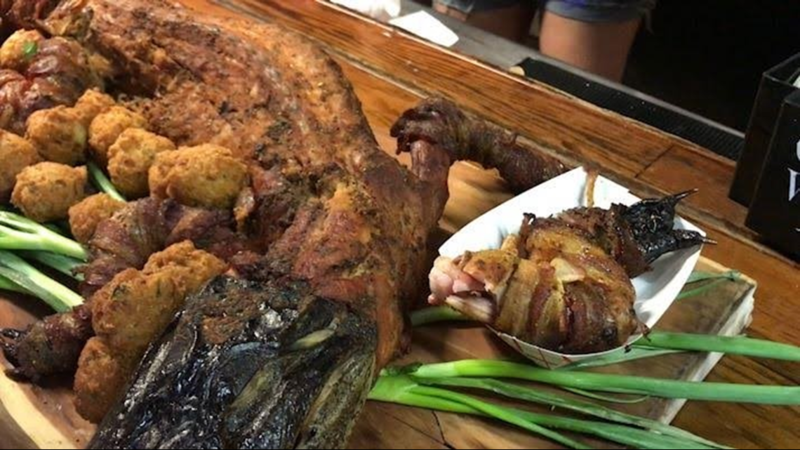 It's also the part of the gator where the white meat is usually located. Photo: FCN. 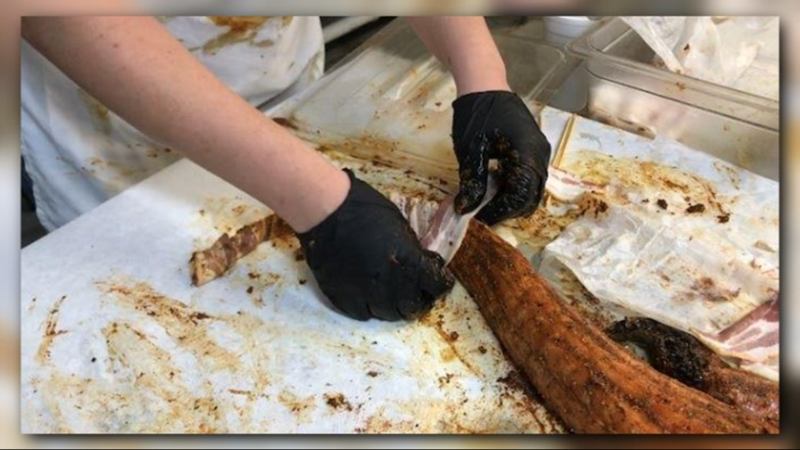 After cutting the tail, they cut off the four legs "just like you would a turkey or chicken," before they finish by cutting up the ribs, Peoples said. Photo: FCN.